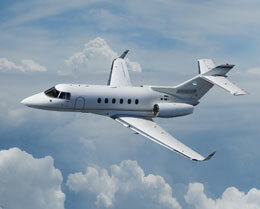 The Falcon 20-F5 is a twin-engine corporate jet aircraft produced by Dassault Aviation. 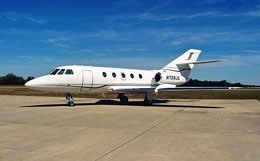 The Falcon 20-F5 is one of the members of the Mystere-Falcon 20-200 family, which is recognized for its outstanding comfort and safety and remains Dassault's most successful business jet program thus far, with more than 500 built. 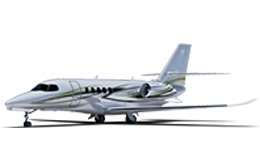 The Falcon 20-F5 is built based on the Falcon 20, with new nacelles, adaptation of bleed-air, anti-ice, hydraulic, electrical, and engine control systems, standardization of weight limitations and C.G. range, as well as adaptation of an automatic takeoff thrust control system (ATTCS). The Falcon 20-F5 is equipped with two Garrett TFE 731-5AR engines. 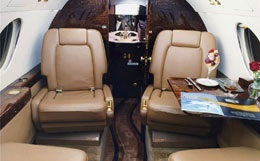 The Falcon 20-F5 is capable of carrying up to 9 passengers in a double club seating arrangement and a maximum range of 2475 nautical miles. 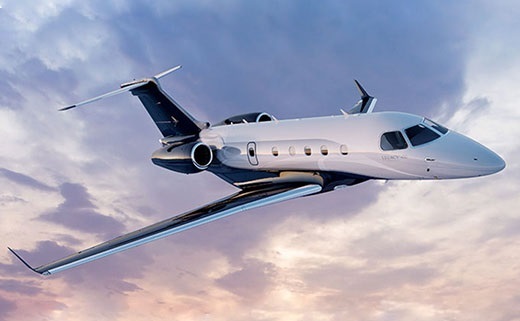 For more information about chartering, leasing or buying a Falcon 20-F5 please contact us by calling +44-20-3874-8091 or send us an email here.